A few years ago when Amy first did the #52ancestors project, even though I didn’t join in each week, I did join in on the favourite photo prompt, which you will find here . This still is my favourite photo, the one of my Mamma Lois looking very glam! Another favourite, is from my fathers side of the family. This is my Grandma, Valentyna and Granddad, Marian Bednarz. I never had the opportunity to meet my Grandma, she sadly died when my dad was a teenager. Valentyna and Marian met when Marian had been posted to a German prisoner of war camp whilst in the British Polish Army, where Valentyna was working as a hospital sister. They were born around 2 hours drive from each other in the Ukraine and Poland. They married in Bramsche, Germany in 1946 and this year I am hoping to find out more about their families and their time in Germany. That is nearly 13 years of my life I have dipped in and out of my hunt for my ancestors. I have dug up stories of happiness, sadness, births, deaths, marriages, court cases and immigrations. A few weeks ago I realised I missed a huge detail in my 3x great grandfather’s life (the fact he’d been in the army…twice!) just because I’d dismissed the records because of a tiny difference. So one big thing I am going to Start this year is to go through 5 generations of my direct ancestor’s lives with a fine tooth comb and see what else I have missed and what else I can find out about them. I try to be as precise as possible when researching but obviously this slipped through the net. In 2018, I am going to Start to concentrate more on the Polish side of my family tree (any hints and tips would be very welcomed) and maybe plan a trip over there to see relatives and archives. One last thing I am going to Start in 2018 is to blog more about my ancestors and to hopefully get more of their stories out there for you all to read. Sampson Reeves was born on the 14th November 1867 in Huthwaite, Nottinghamshire. His parents were Abraham Reeves & Eliza Smith. Sampson married Martha Briggs in 1890 in Huthwaite, Nottinghamshire. Martha was born on the 1st of July 1868 in Sutton in Ashfield, Nottinghamshire. Her parents were John Briggs & Hannah Fox. Eliza Hannah – Born on the 21st October 1891 in Huthwaite, Nottinghamshire. She never married and in the 1939 Register she is found in the Mansfield Union Workhouse with her occupation listed as Charwoman (a woman employed as a cleaner in a house or office). She died on the 10th of October 1943 in Huthwaite, Nottinghamshire aged 51 and was buried in Huthwaite Cemetary on the 13th of October 1943. Her residence on this record is listed as 40 Sherwood Street which is also where Sampson and Martha are living on the 1939 Register. Ernest – Born on the 10th February 1895 in Huthwaite, Nottinghamshire. He was baptised on the 17th of February 1898 in Beighton, Derbyshire where the family lived for a short while. In 1930 he married Mabel Bacon in Huthwaite, Nottinghamshire and in the 1939 Register, they are living in Sutton in Ashfield, Nottinghamshire where Ernest is working as a Colliery Hewer. They had 3 children. Ernest passed away in 1981 in Sutton in Ashfield, Nottinghamshire aged 86. Gertrude – Born on the 27th December 1897 in Beighton, Derbyshire. She was baptised on the 17th of February 1898 also in Beighton, Derbyshire (The same as Ernest). She married Frederick Farnsworth in 1920 in Kirkby in Ashfield, Nottinghamshire. They had one child before Frederick passed away in 1921. Gertrude remarried to Gilbert Stallard in 1931 in Sutton in Ashfield, Nottinghamshire. They had 2 children. In the 1939 register, Gilbert and Gertrude were living in Sutton in Ashfield, Nottinghamshire. Gertrude passed away in 1971 in Huthwaite, Nottinghamshire aged 74. Charles Enoch – Born on the 18th July 1900 in Sutton in Ashfield, Nottinghamshire. He married Ethel Greaves on the 14th August 1920 in Sutton in Ashfield, Nottinghamshire. They had 4 children together and in the 1939 Register they are living in Sutton in Ashfield where Charles is working as Colliery Coal Hewer Underground and is also part of the A.R.P Medical Services. He left and took his older son to middlesex, Here he married Clara Burgin in 1952 in Willesden, Middlesex. They had 4 children together. Charles died on 21st September 1974 in Ealing, Middlesex aged 74. John Thomas – Born on the 26th February 1903 in Huthwaite, Nottinghamshire. He married Martha Wilkinson in 1925 in Sutton in Ashfield, Nottinghamshire. They had one child. In the 1939 Register John and Martha were living in Sutton in Ashfield and John is working as a Brickyard Labourer. John passed away in 1978 in Sutton in Ashfield aged 75. 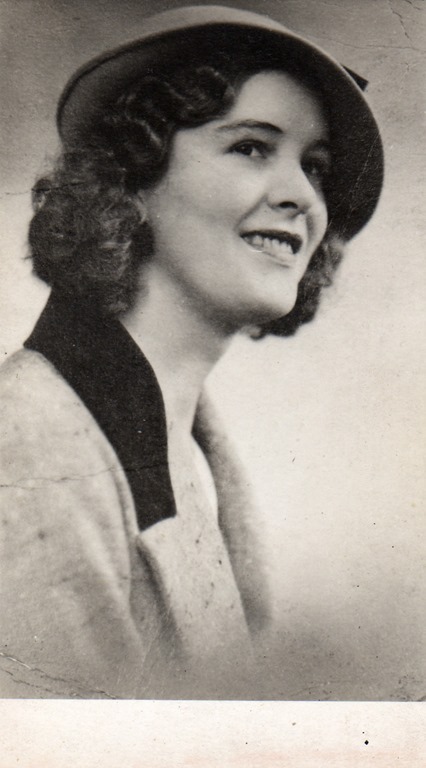 Alice May – Born on the 1st June 1909 in Huthwaite, Nottinghamshire. She married Joseph Instone in 1929 in Huthwaite, Nottinghamshire. They had one child who sadly passed away after a few months of birth. In the 1939 Register, Alice and Joseph are living in Sutton in Ashfield, Nottinghamshire. Joseph’s occupation is listed as Colliery Miner – underground unemployed, which may explain why they moved to Macclesfield, Cheshire where Alice passed away in 1944. In the 1891 Census, Sampson and Martha are living in Sutton in Ashfield, Sampson is working as a Coal Miner. In 1893, Sampson appears in his first newspaper article about his latest crime he has committed, and it was not the last either. I will post another post about this soon and link to it. In the 1901 Census, Sampson is listed at Samuel, they are both still living in Sutton in Ashfield. Sampson is working as a Coal Hewer. Eliza A is 9, Ernest is 7, Gertrude is 4 and Charles E is 7 months. In the 1911 Census, Sampson and Martha are living in Huthwaite, Nottinghamshire. All 6 children are living with them. According to the census they have been married 20 years, had 6 children all of which are still living. Sampson’s occupation is Miner along with Ernest his oldest son. In the 1939 Register, Sampson and Martha are living in Sutton in Ashfield, just the two of them. Sampson’s occupation is Colliery Hewer – Retired and Martha’s occupation is listed as Unpaid Domestic Duties. Martha died on the 15th May 1941 in Huthwaite, Nottinghamshire and was buried at Huthwaite Cemetery on the 17th May. Sampson died on the 1st December 1945 in Huthwaite, Nottinghamshire and was buried at Huthwaite Cemetery on the 4th December. If you have anymore information on the family or even are just related to any of them I’d love to hear from you! This post is for Amy Johnson Crow’s 52 Ancestors in 52 Weeks. My Family History Hunt may not be full of royalty and money, big grand houses and names that go on for miles. However, I am still proud of each and every one of my ancestors, their little stories and trials and tribulations. If things had been different and the branches of the tree had gone another way I may not be here telling these stories today. A surname I have struggled with in my hunt is Deaball. and the list goes on and on. As soon as I click on to see the record I can usually see its Deaball but can see how the transcriber got to how he/she interpreted it. Those “include variants” check boxes are very. very handy!! A big branch of my family tree is the Green branch. With a lot of help from other people, this branch stretches back to the 1200s. A bit closer to home, in 1794 my 5x Great Grandfather Joseph Green was born in 1794 in Denby, Derbyshire. On the 7th of April 1823 (exactly 163 years before I was born to the date) he married Elizabeth Brown (see where the colour title comes in?!) again in Denby, he was 29 and she was 22. Elizabeth was born in 1801 in Holbrook, Derbyshire. Mary – Born in 1825 in Denby and sadly died at 21 years of age in 1846, she was buried on the 3rd of December 1846 in Denby Church Yard. Emma – Born on the 30th of November 1826 in Denby. She married Joseph Orme on the 9th of September 1845 and they emigrated to America in 1863. They settled Honeyville, Box Hill, Utah. Thomas – Born in 1831 in Holbrook, Derbyshire. Joseph – Born in 1833 in Holbrook. Hannah – Born in 1839 in Holbrook. In the 1841 census they were all living in Denby. Joseph was a coalminer. By the 1851 census, a lot of the children have “flew the nest”. Joseph sr is still a Coal Miner. Thomas, Joseph jr and Hannah are still living at home, Thomas and Joseph are Coal Miners also. Hannah is at school. I did wonder where Dorothy was as she would’ve been only 16 and I had already found that she was married the next year in 1852. She was actually visiting in Chesterfield, next door/adjacent to her sister Emma and her husband Joseph Orme. The head of the house she is staying at is Samuel Orme who is 2 years younger that Joseph so may be a brother or cousin. Emma and Joseph already had 2 Lodgers living with them as well as their 3 children so my guess would be Dorothy was visiting her sister. Chesterfield is a town and Denby a little village so I can imagine a visit to the big town to a little village girl would’ve been an exciting time. In the 1861 census, its just the two of them Joseph and Elizabeth, Joseph is still a Coal Miner. Hannah is living just next door though with her new husband, Francis Thorpe and their 8 month old son, Herbert. Elizabeth is buried on the 17th of February 1865 in the Denby Church Yard. In the 1871 census, Joseph is still a Coal Miner living in Denby. He has a lot of visitors! Hannah and her husband Francis and their children, Herbert 10, Mary 8, Thomas 6, Elizabeth 4, Emma 2 and James John 9 months. Next door is William and his wife Mary and their children Thomas 23, John 19, William 13, Naomie 10, Elizabeth 8 and Mary Ann 6. William is also a Coal Miner. Its nice to see Joseph is not on his own and still surrounded by his family. Joseph died on the 17 November 1876 aged 82 and was buried on the 21 November 1876 in Denby. So they’re maybe not my most colourful of ancestors personality wise but their names are colourful enough and rather tree like! As soon as I saw this title I knew who I was going to pick for this post and which photo. This is my Great Grandmother “Mamma” Lois Green nee Haskard. Lois and her husband Ernest Green were the first people in my Family History Hunt and this photo is one of the first I added to my little collection. I have so many fond memories of “Mamma and Grandad”. Their little house in Kirkby in Ashfield, how Grandad was always sat in his armchair, their little apple tree and rows of runner bean plants in their back garden and how every week my mum would take Mamma shopping and in the school holidays me and my sister would go with them and on one occasion we somehow managed to tip mamma’s trolley, contents and all, over in the aisles of Asda. Oops. I was 10 when my Grandad passed away in December 1996. Mamma passed away nearly two weeks later on the 1st of January 1997. My mum always says Mamma died of a broken heart from missing Grandad and i agree with her, they were a lovely couple and I’m glad I got to meet them. PS. How glam does Mamma look in that photo!!! Hello and welcome to my blog about my ancestors and their local area. My roots are in England and Poland.